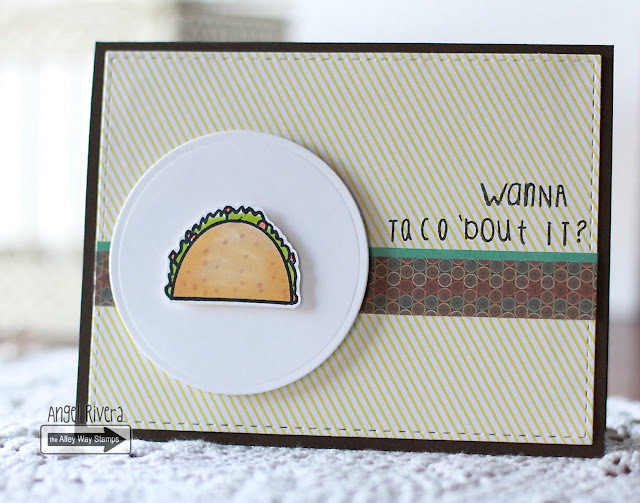 Angel's Creative World: Wanna taco 'bout it? Hi all! 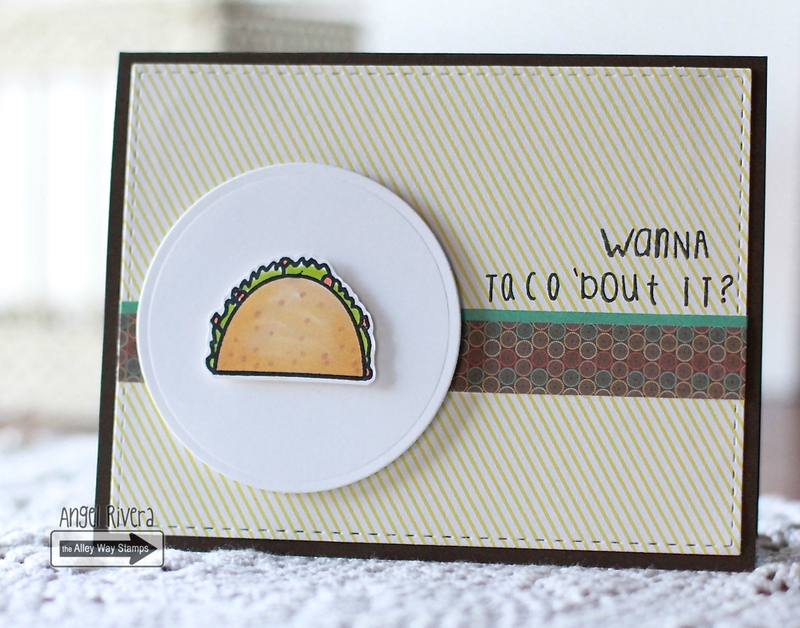 Here's a CAS card I made using two TAWS sets - Express Yourself and Cha Cha Cha. I love the option to make custom sentiments with the Express Yourself set. I mean, how fun is this, ha?!? Once I had the image colored with Copics, I knew what I wanted my sentiment to be. The card base is chocolate brown. Thanks for stopping by! As always, swing by the TAWS Blog for more inspiration! What an adorable card Angel!